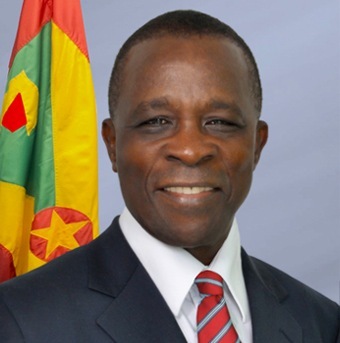 It is indeed a pleasure for me to extend a very warm welcome to all to this most important High Level CARICOM Conference, which the Government of Grenada is indeed pleased to host in this our Spice-Paradise Isle, amidst this beautiful Grand Anse Beach setting. The Conference titled: “Strengthening and Utilizing S&T in the Caribbean” is the first activity of the CARICOM Science, Technology and Innovation Committee (CSTIC) that we launched right here in Grenada in January last year, and I wish to congratulate its members for taking the initiative in organizing this Conference jointly with our longstanding friends: UNESCO’s Regional Office in Jamaica, the Regional Office of the World Academy of Sciences based in Brazil, and CARISCIENCE, a UNESCO affiliated organization. That Committee was launched out of my conviction that we live today in a world now more and more shaped and more and more driven by Science and Technology than at any other time in the history of mankind. And that we here in the Caribbean therefore have no choice, if we are to successfully navigate our way, but to further promote the development of Science and Technology and do so aggressively and with urgency, so that it can assist with the socio-economic development of our people as it has done and continues to do for the people of so many countries including, USA, Japan and more recently Brazil, China, India, Malaysia and many other developed and developing countries. Cuba, having spent over 50 years under an ill-conceived economic blockade, and even with its very limited resources, has produced a health system and an education system that many believe is second to none in Latin America and the Caribbean. Its heavy investment in biotechnology has paid rich dividends with its Centre for Genetic Engineering and Biotechnology being internationally well-known. Let me recognize the presence here today of the first Director of this Centre, Professor Manuel Limonta, who now serves the wider region. It is important for us in CARICOM to strengthen Science and Technology links with our neighbor, Cuba in the spirit of both South-South and CARICOM-Cuba cooperation. It therefore gives me great pleasure to announce the visit to Cuba of a CARICOM Science Delegation to promote collaboration and cooperation, and to be headed by Professor Emeritus Harold Ramkissoon, who is well-qualified for this role. For his scholarly work, Professor Ramkissoon has been made a Foreign Fellow of the Cuban Academy of Sciences, and for his contribution to the development of Science and Technology in the wider Caribbean, he was presented with the Key to the City of Havana. He is therefore strategically placed to open many doors for our region. Our region today faces many challenges — the biggest of which is the economy. With the exception of natural resource-rich Trinidad and Tobago, Guyana and Suriname, our economies are to a large extent, tourism-based, and characterized during the 2010–2014 period by high public debt, low growth and high unemployment, particularly amongst our youth. In over half the countries, the debt as a percentage of Gross Domestic Product (GDP), is over 70%; in a couple of cases over 100%. High debt obligations leaves little to support social and economic imperatives. The burning question of the day is how do we get out of the doldrums of slow growth? How do we, particularly as small island states, build more sustainable economies? The tourism industry, as we have seen, is a most fragile one, vulnerable to the global economy and vagaries of Mother Nature. Moreover, the Caribbean is both the most tourism intensive region in the world and predicted, according to the World Travel and Tourism Council, to become the most at-risk tourist destination between 2025–2050, due mainly to the effects of climatic changes. Ladies and gentlemen, in my humble view, if we are to take our economies on a sustainable growth path, diversification must become our mantra and we must adapt as quickly as possible to an increasingly knowledge, innovation, creativity and technology-driven global economy. CARICOM’s strategic plan for the region for the period 2015–2019 provides some guidelines for us. It focuses on specific areas to drive economic growth and outlines strategies to create a culture of innovation and entrepreneurship within a digitally literate population. But science and technology underpins all of this, and unless we have the requisite solid science infrastructure, the objectives of CARICOM’s plan will simply become elusive. That begs the question, what is the status of Science and Technology in the region today? I recall, in my early years as Prime Minister, I had to impress upon my colleague Heads during regional meetings, that no serious discussion about development could take place, without embracing and leveraging Science and Technology. To undertake this exercise, one has to look at the current indicators of S&T. In terms of research publications, while all our universities are now contributing to the research effort and this is most commendable, we still lag behind a number of countries. In 2002, for every 10 Caribbean research papers published, Uganda, Panama and Colombia produced respectively 5,4,20. By 2012 the ratio had increased substantially to 11,6,50. That is, Colombia is now producing five times more than us while previously it produced only twice as much. Colombia’s economy is also very strong. Clearly the region needs to strengthen its research culture. Indeed, it is clear to even the uninformed, that there is a direct correlation between scientific research and economic development. In terms of patents, which are major indicators of innovation, invention and S&T, more needs to be done. Local applications rarely exceed 10 per year in any CARICOM country. However, there has been more success with respect to the US Patent and Trade-mark Office. As of July, 2014, there were 254 patents from the Caribbean. But again most of the recipients were non-nationals. While the S&T picture could be brighter, there are positive signs on the horizon. For the first time, one of our scientists, Dr Marvadeen Singh, from Jamaica, was selected in 2010 by the World Academy of Sciences (TWAS) as one of the top five young scientists in Latin America and the Caribbean. For the first time also, another of our scientists, Dr Sephra Rampersad, from Trinidad, received the top prize in Agriculture in 2014 from the same body, TWAS. While our spending on education in the region has been between 4–6% of GDP and compares favorably with the 5-6% spent by developed countries, the harsh reality is that the same cannot be said for expenditure on Research and Development (R&D). The developed countries spend on an average, over 2.5% of GDP; some spend over the recommended 3%. South Korea is spending about 4.4 %, Japan 3.7%, Sweden 3.3%. Not a single country in our region — and I am not proud to say this — in 2014, spent more than 0.3% — far below the recommended amount of 1% for developing countries. India and China spend about 1%. Rwanda, rising like a phoenix out of the ashes of civil war, is spending 1.6% on R&D in order to leap-frog into the digital age-thanks to the efforts of individuals like Professor Romain Murenzi, a former Minister of Science and Technology in Rwanda. We undoubtedly have a major challenge here. But find we must, a way, innovative as it may be, to overcome this challenge. Inadequate expenditure on R&D has been for too long our greatest obstacle to development in the region, and we must now make investment in R&D a top priority in our region. We have no choice, of we are going to ensure a secure future. This is a challenge, not only for Governments, but also our private sector which must be more proactive and willing to go beyond mercantile boundaries. The well-being of our region depends on a greater focus on S&T and a greater investment in R&D. To quote the former Vice-Chancellor of the University of the West Indies, Professor Nigel E. Harris, at his installation, “If we do not invest in S&T we shall not cross the ramparts in the field of sustainable development and even run the risk of perishing in the trenches of underdevelopment” end of quote. My friends, the imperative of our times demands a coming together in the region of the private sector, governments and academia – the so-called triple helix — to forge a more secure future for our people. Perhaps it is now an opportune time to convene a High Level team to advise governments on what is needed, in terms of expenditure, for research, from country to country, based on the individual situations. Given the current S&T landscape in the region, what is the path to be traversed if we are to get to the high ground, where it can contribute in a meaningful and significant way to both our social and economic development? First and foremost, we need to create, with the assistance of the NGOs, CARISCIENCE, the Caribbean Science Foundation, the Caribbean Academy of Sciences, CKLN, CTU, CARICOM SECRETARIAT , Universities and other institutions, the requisite infrastructure in a structured and methodical manner. These NGOs with limited funding have already been making their contribution and we applaud their efforts. we need, in order to be more efficient and competitive, to make greater use of Information and Communication Technology. There must be complete immersion by all sectors. And here I wish to commend the Rt. Honorable Sir Dennis Byron, President of the Caribbean Court of Justice and one of the region’s legal luminaries, for his efforts to take the Justice System in the Caribbean into the digital age. we need to establish, as soon as possible, National Science Teachers Association in all CARICOM countries, to act as an effective link between our schools and the scientific organizations, to ensure, inter alia, that our students are exposed to frontier areas of science. we must at the same time look at best practices in science education in high performing countries such as Finland, Singapore and Hong Kong. In this highly competitive globalized world, we must go beyond the narrow confines of our region in making a comparison of performances in schools. We must, for example, on a regular basis, allow our students to compete in the Programme for International Student Assessment, which allows countries to compare outcomes of learning in reading, mathematics and science literacy. In 2012 — 510,000 students from over 60 countries participated — not one, I believe, from the English-Speaking Caribbean. And now I turn to our research culture. There is no doubt we must intensify our efforts to strengthen this culture making it more relevant to national and regional needs. In this way, we can add greater value to our nutmeg industry and help entrepreneurs such as Mr Denis Noel, or Mr St Bernard, cocoa manufacturers, De la Grenade Industries, and many others. We can produce an indigenous poultry feed, we can enhance our agriculture production, exploit the tremendous potential of the natural resource-rich countries like Guyana and Suriname. How can a region of about six million people, capable of growing food year round, justify an annual astronomical food import bill of about US$4.75 billion? That works out to be importation of food to the tune of, I believe, if my mathematics is correct, about US$2,000 per person. We must boost aquaculture and horticulture production, and become a major player in the fast growing industry that is projected to increase to $270 billion US dollars. Dr Henry Lowe with his Eden Gardens Nutraceuticals is leading the way in the Caribbean. Our universities, repositories of knowledge, have a critical role to play here. Some of them must go beyond their traditional role of disseminators and creators of knowledge, beyond teaching and research. They must act as incubators of S&T related commercial activities. They must become instruments and engines of economic growth, particularly in the knowledge economy, producing our entrepreneurs of tomorrow. They must become, what is referred to as third generation universities. But alone they cannot achieve this; they must work closely with Governments and the private sector and thus be part of the triple helix mentioned earlier. The development of the region, in my view, depends on the successful formation of this triple helix. My friends, we are at a critical juncture in the history of our Caribbean people and we must act. It certainly cannot be business as usual, for in this case, our economic struggle will continue and the expectations of our people will remain largely unfulfilled — and for us politicians, we will have more and more problems. We must take the bull by the horns and in the shortest possible time develop Science, Technology and Innovation to enable us to, among other things, use frontier area technologies such as Information and Communication Technology, Biotechnology and Nanotechnology, to compete globally and meet the basic needs of our people — food, energy, clean water and health care. But equally important, a strong foundation in STI will help us confront and benefit from any future major transformative wave that may come our way. Yours, Honorable Ministers of Government of our CARICOM family, Captains of Industry, Distinguished Scientists and Friends of the region is an important task — you are here to not only help us continue a journey, but this time with a sharper focus, a renewed vigour and a greater resolve. I thank you all for the importance you have given to this special initiative here today and for the next few days. I very much look forward to your deliberations and Plan of Action. I expect to present the conclusions and Plan of Action coming out of this meeting, to our Heads of Governments in Barbados in July — and be able to say to my colleagues that we need the resources. Let us save our beautiful children of the CARICOM family.